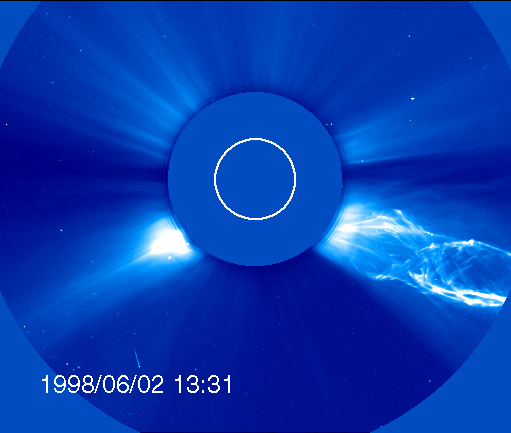 SOHO is a program of international cooperation between ESA and NASA. 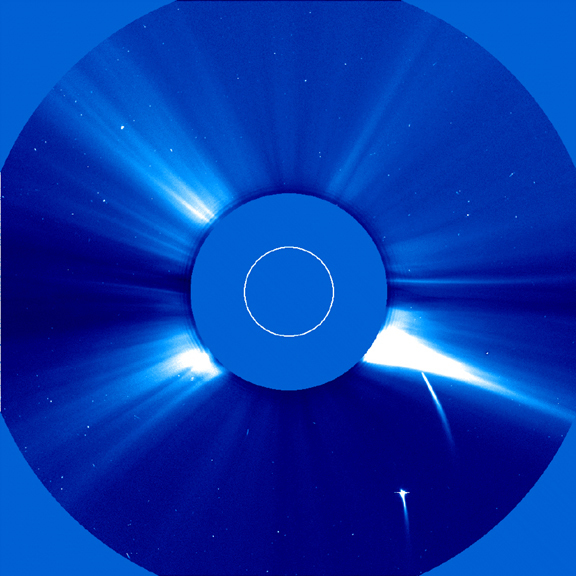 Shortly after the comets disappeared behind the occulting disks of the LASCO C1 and C2 coronagraphs, a bright coronal mass ejection (CME) with an enormous erupting prominence appeared on the southwest (lower right) limb of the Sun. (East and West are reversed in heliographic coordinates to match the compass directions for an earthbound observer.) The prominence eruption is visible in the SOHO EIT images. software in order to view the QuickTime movies. Click on any thumbnail for a full-sized GIF or JPEG. our directory of images formerly served to the public by the NASA Goddard Public Affairs Office.